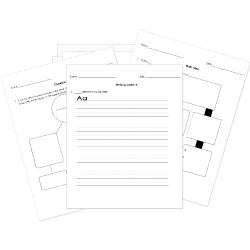 You can create printable tests and worksheets from these A Wrinkle in Time questions! Select one or more questions using the checkboxes above each question. Then click the add selected questions to a test button before moving to another page. Where is Meg's father in the first chapter? It does not say where he is. What is Mrs. Murry's occupation? How does Mrs. Murry react to what the visitor tells her? What does the visitor tell Mrs. Murry about? What is Meg's first impression of the visitor? She thinks she is beautiful. She does not trust her one bit. She wishes she had never met her. She wonders how she knows Charles Wallace. Who lives in the house in the woods? Why type of student is Meg? He does not talk a lot. People think he is dumb. He is deathly afraid of storms. He is the youngest in the family. How does Meg feel at the beginning of the novel? How did Charles, Calvin, and Meg get there? They flew on a plane. What does Meg help Calvin with? Why does Meg get sent out of class? What happened to Meg at the beginning of Chapter 4? She received a letter from her father. She suddenly began to feel very sick. She felt as if she was completely alone. She became worried about her mother. Why is Dennys mad at the beginning of the chapter? He did not finish his homework. He heard Meg beat someone up. He wished they had woken him up. He was not a fan of French toast. How does Mrs. Which speak? What woman appears at the end of the chapter? Charles Wallace comes out of the woods while Calvin and Meg are talking. What does he tell them they have to do? Which best describes what Mrs. Whatsit became? The darkness can be overcome.